Here’s the good part about being chosen for Oprah’s Book Club. The book cover gets the Oprah label, the novel becomes an automatic bestseller, and the author gets to make a bunch of TV appearances (which is great unless the author is really shy, in which case the Oprah pick could cause problems). The bad part is that once Oprah picks a novel for her book club, then Oprah often becomes the topic instead of the book. That’s not fair to the author. It’s not the author’s fault that Oprah picked his/her novel. When Oprah picked The Corrections by Jonathon Franzen, Oprah became the topic. Part of that was because Franzen acts like a prick sometimes, but still. When A Million Little Pieces by James Frey was chosen by Oprah, she became the topic . Yeah, Frey’s memoir turned out to be maybe fiction, but that’s okay because now he writes YA lit under a new name, Pittacus Lore, so everything worked out okay. 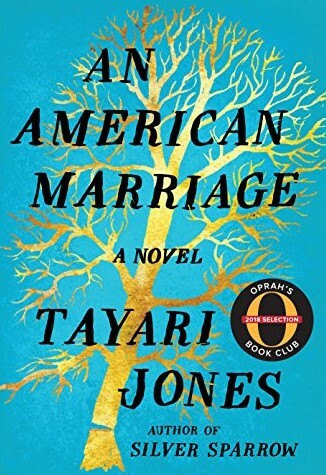 A couple weeks ago the novel An American Marriage by Tayari Jones got selected by Oprah Winfrey for her book club, and the book reached #2 last week on the New York Times Bestseller List for hardcover fiction. An American Marriage is pretty good so far (I’ve read only a chapter). I can see why Oprah Winfrey selected it (and I don’t mean that in a sarcastic way). It starts off with some background information, including several cultural references from the 1970s and 1980s. In the first few pages the narrator references Good Times (1970s) and A Different World (1980s). I haven’t seen Oprah referenced yet, but she could be mentioned later. Oprah was starting to become popular in the 1980s. She wasn’t iconic yet. She wasn’t giving away cars yet, but everybody knew who she was. I knew who she was, and I never watched her show. If I remember correctly, in the 1980s Morton Downey Jr. and Geraldo Rivera had the big talk shows, but Morton got too crazy, Geraldo got hit with a chair during a brawl (plus, Al Capone’s vault was empty), and Oprah stepped in with a more dignified show. It got weepy and sappy sometimes, but nobody got hit with chairs. I was wondering, though, if an author referenced Oprah Winfrey in a novel, would it be unethical for Oprah to choose that book for her book club? I’ve written about a bunch of stuff that happened in the 1990s, and I’ve mentioned Oprah, so it could happen with an actual novelist. If a literary author wrote an Oprah reference in his/her novel and Oprah loved the novel, it might put Oprah in an awkward position. If I ever wrote anything that got me invited on Oprah’s show/network, I’d feel funny about it. This is even without all my nervousness. I’d probably panic and dry heave, which would be embarrassing, but even without that, I’d feel funny. I used to mock Oprah’s show at its peak. I especially made fun of those episodes where she gave away free stuff. “What a bunch of freeloaders,” I’d scoff at the audience’s cheering whenever they got free stuff. Just so you know, I was aware of these freeloaders only because of my wife. My wife loves Oprah, watches her network, subscribes to the magazines, and takes Oprah philosophy very seriously. I can mock Oprah only in certain situations and moods (which means rarely). Years ago my wife tried to schedule Oprah tickets for one of those freeloader episodes, and I gently made fun of her her for it. She said that somebody was going to get that free stuff so it might as well be her. That is how civilizations collapse, I thought, but it was okay as long as Oprah was giving her own stuff away. Don’t get me wrong; if Oprah gave me free stuff, I’d take it. And I’d thank her for it. And I’d probably stop mocking her for giving stuff away, just out of politeness. If you accept free stuff, you shouldn’t make fun of that person anymore. I’d just find a new target. I can always get back to James Patterson. That guy writes way too many books. Maybe one day Oprah will pick a James Patterson book for her Book of the Month Club. My head would probably explode. Dang it! I really was going to write about An American Marriage. I was. I mean it. But when Oprah picks a book for her Oprah’s Book Club, Oprah often becomes the topic.